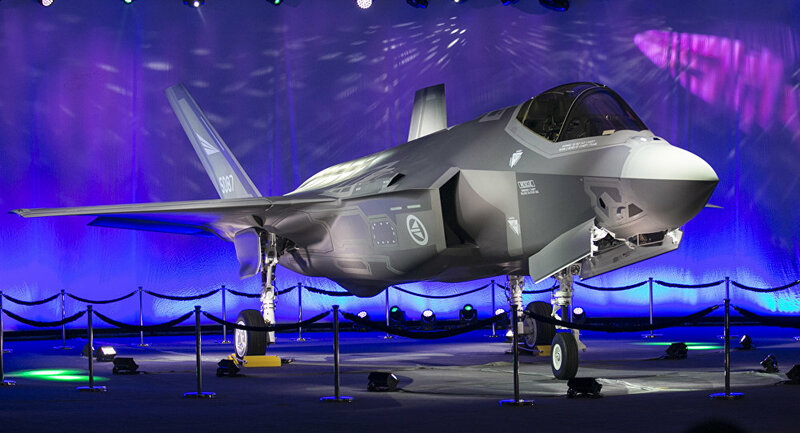 The first two of the projected fleet of 100 F-35A aircraft are slated to arrive in Turkey on June 21, Anadolu News Agency reported, citing defense sources. Two Turkish Air Force pilots are currently being trained in the US to fly the advanced jetfighters to Turkey with a refueling plane in tow, the sources said, speaking on condition of anonymity. The F-35 jets, to be deployed at the 7th Main Jet Base Command in Turkey’s eastern Malatya province, will replace the country’s aging fleet of F-4 and F-16 planes. In December 2017, the Pentagon said that Italy and Turkey would provide the initial maintenance of the F-35 fighter jets and their engines. US Assistant Secretary of State for European and Eurasian Affairs Wess Mitchell earlier warned that the purchase by Ankara of the S-400 air defense missiles from Russia could reflect negatively on Washington’s decision to supply the F-35s to its NATO ally. Washington, is trying to persuade Turkey to buy the US-made MIM-104 Patriot surface-to-air-missiles, citing the S-400s’ incompatibility with NATO standards. Moscow and Ankara inked a loan agreement for the acquisition of four S-400 air defense missile battery systems in December 2017. The initial delivery of the Russian-made advanced missile system to Turkey is planned for the first quarter of 2020.